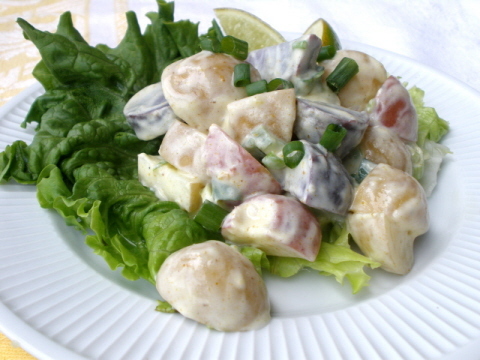 Summer could not possibly pass by without a heaping helping of potato salad. Creamy, mayonnaise-y goodness. However, this version uses plain whole milk yogurt as the base for the dressing and is packed with home spun flavor. Enjoy with some ice tea and say hello to short shorts, and goodbye pants!! Mix all ingredients and chill for at least 30 minutes before serving.